If you’re anything like me, you cried when you heard that Inon had discontinued its flagship strobe, the Z-240. For me, Z-240 was the most reliable strobe in my arsenal. Although my YS-250’s are my preferred strobe of choice for big, fast animal action, they are bigger and heavier than the Z-240. Fortunately, I am lucky enough to have several sets of the old Inon Z-240’s, so I didn’t find myself in a bind for a new strobe. I looked at Retra flash, read all the reviews, and thought about buying a pair due to their super sleek look, although the price is higher than my Z240's were. Then fast forward a few months and I wake up to the news we Inon lovers wanted to hear: Inon was releasing the all-new Inon Z-330. The Inon Z-330 was officially released on December 24, 2017. One of the major highlights of the Z-330 is the intelligent beam design. Making use of a dome lens on the front of the strobe and Inon’s T-shape twin flash, the 110 degree beam does not need a conventional translucent diffuser which would normally sacrifice output. This strobe is 110 degrees at full output! Tip: The light dome is easy to bang up and scratch; you must take care in handling and packing. The diffuser protects it on dives from getting scratched when banged around in a wreck or rinse tank. 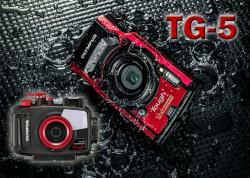 The Inon Z330 is available now at Bluewater Photo! When I received the Z-330 in the mail three weeks ago, I felt like a kid at Christmas – eyes-wide and excited to get in the water to test them out. Two days later I was on a flight to Dumaguete, Philippines for two weeks of shooting at Atlantis Dive Resort. On this assignment, I used –and always use– either the Canon 5D Mark III or Canon 5D Mark IV, both in Aquatica housings with either a macro port or 9.5-inch glass mega dome. All of my lenses are Canon L series USM lenses, including: 100mm, 16-35 USMIII, 11-24mm, 8-14mm and 14mm USM II. I shoot strictly on manual, and Aquatica custom designs all four of my housings with Nikonos connectors straight to hot shoe without a board. With visibility at 50 feet, diving in Apo Island was the only time on the trip I used the strobes at full power. Eneloop-pro batteries are great for getting the best possible recycle rate with at full power. Even at full power, the recycle time at least as good as my previous Z-240. We are never going to see recycle times that compare with the Sea & Sea YS-250 – which I why I hold onto the 4 pairs I have as if they are made of gold – but the new Z-330s recycle faster than my Retras. The Retra battery extension enables it to charge 3/10ths of a second faster. However, the price point ends up being higher than the Z330. The flash is so powerful that I rarely needed a full burst of power. With Eneloop-Pro batteries I got 4 dives with over 750 shots without a battery change. In the photo below I captured mating mandarin fish. Shooting with a Canon 5D MKIV with 100mm at approximately one meter from my subject, I shot at 1/200, f/11, ISO 200 with my strobe set too manual at -3. Now at that same dive site, same scenario, same settings with the old Z-240 the strobe was set to manual at -1. Both were captured using the soft diffuser. The power of this strobe is simply incredible. Every diffuser we have seen hit the market in the last few years has been domed in shape to give you even, soft white light without the burn spot. Instead, Inon has created a strobe whose flash is domed to achieve incredible, soft, even light, even without the use of one if its three diffusers. The theory not only makes perfect sense, it works incredibly well. The Z-330s have many new, common-sense features that make them a vast improvement from the already incredible Z-240’s. In addition to the design of the strobe itself, the bayonet style attachment for diffusers is genius. I am sure it will end up creating a buffet of aftermarket snoots and accessories. Taking the diffuser on and off with just one hand very useful. The controls are easy to read, easy to use, and for those of us with big fingers – no more buying extensions! They are easy to grab and sensibly designed with a few special features. The first being the “M” or manual switch position is exactly where it should have always been, far right, with full burst being one click left. This way, when you’re in the dark you can simply operate by touch. The new phosphorescence back panel is a great addition under optimal circumstances and conditions. However, it’s not always as readable as we’d like, so making it easy to find your correct setting blind is a great addition. Also new is the updated power switch that no longer turns 360 degrees. It now stops at -6 and -.5 to allow you to easily set the power without actually having to see the controls. The strobe light shade is a new feature intended to block part of the beam that shines towards the camera in order to suppress ghost or flare. The shade rotates 360 degrees. While I like this feature, I have some reservations. First, it is extremely tricky to remove underwater, and slightly cumbersome. The plastic thread is not always very smooth. Once you remove the shades, you must have some place to put them; I found that clipping them to my BCD was the best option. However, they do perform as advertised – with some exceptions. A clear line in the beam can form if a subject is closer than 2 meters to your port. This means that if you’re shooting close-focus wide-angle or there are any objects in the immediate foreground, you have to remove the shade. Otherwise you will end up with a very clear line of unlit image where light has been blocked. I found that unless I am shooting an 8-15mm, 11-24mm (on the 11 side) or in a rare case my 14mm, the shade is useless and does more harm than good to my photo. The Z-330 strobe is equipped with a circular metal heatsink linked to an inner circuit component that releases heat from strobe usage effectively. This has led to an improved heat efficiency as the strobe does not need to stop working in order to cool down. It also lowers the risk of a blown bulb. 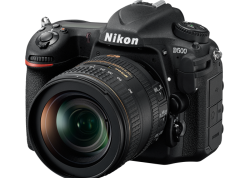 The Z-330 comes with an enhanced S-TTL auto exposure system. Additionally, the slave sensor had been updated to react to even a faint or somewhat damaged fiber optic cable. Exposure control is in 13 steps in 1/2 EV increments. When shooting on a Mandarin dive with my strobe power set to manual at -3, shooting F.11 at 1/200th, I could fire the strobes none stop 7-10 burst with minimal recycle time and no detectable heat build up. As for me, these strobes will undoubtedly be my new workhorse. When you’re traveling six months a year, logging 400-plus dives a year with your camera, this is the type of strobe my work demands. All in all, this is a great strobe at a price point of only $650.00. Inon strobes have always been reliable, compact, lightweight, and easy to travel with. If the strobe needs service, it is readily available around the world. This is the next generation of Inon strobes - welcome to the era of the Z-330.